Thumb Guard vs Mavala Stop: these have been the two most popular products for a long time for stopping thumb sucking, finger sucking and nail biting. One is a nail polish and the other is a thumb guard that surrounds the thumb. There are many products on the market, be sure to do your research before buying. 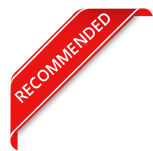 Visit the Stop Thumb Sucking Product Reviews on the home page so you can make an informed decision before buying. We’ve made a special page here to discuss both of these thumb sucking products because of at least 10 years they have been the most popular – but not necessarily the best. Mavala Stop is idea for stopping nail biting, NOT thumbsucking, and because is cheap and seemingly easy people try it. You’ll find the Amazon reviews are an average of over 4 stars, indicating that it will work – but what you might not understand is that the reviews are primarily based on people trying to quit nail biting, not thumb sucking. The main difference is that thumb sucking happens at night and while sleeping the bad taste has no impact. The TGuard thumb guard is also popular, because it is the most expensive. Price does not always mean best, but many people think it does and so the TGuard has sold a lot. However, its effectiveness at teaching a child how to quit thumb sucking is not any better than many other products. That is not to say that the TGuard isn’t a good product, because it is, it just might not be worth the extra money. However if you want a straight comparison between the Mavala Stop vs the Thumb Guard to stop thumb sucking, then the TGuard is definitely the better option. However, please consider the different products before buying and make sure you’re getting the right one for your needs. Because from time to time new products to help kids stop thumb sucking emerge, it is recommended that you visit the home page and consider the top recommended products and read their reviews. Copyright © 2015 Stop Thumb Sucking. All Rights Reserved.